I keep the other poetic evocations of grief, the books I am amassing, close at hand. I read them to stir up and open the gates that are still secured against the flood of choked tears, the barricades of numbed sadness, that do not seem to be able to allow more than a slow leak in occasional shuddered gasps. At the moment mourning feels more like emptiness. I feel a need to find a starting point with death, with these particular deaths, with watching each one on their deathbeds, before I can find and begin to work through the grief. 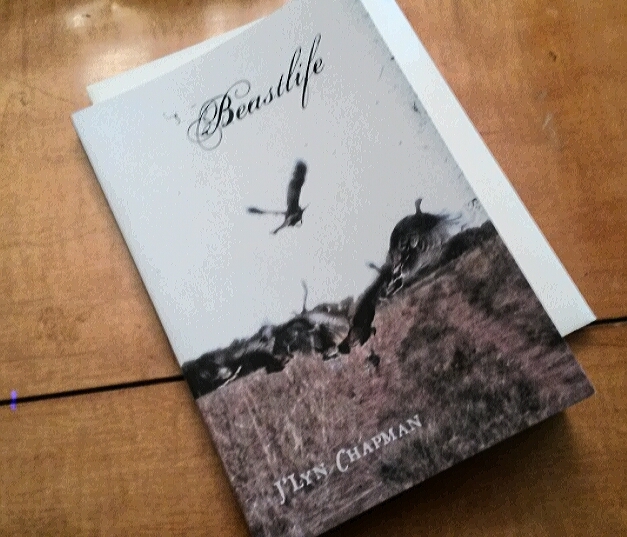 Beastlife by J’Lyn Chapman is published by Calamari Archive.